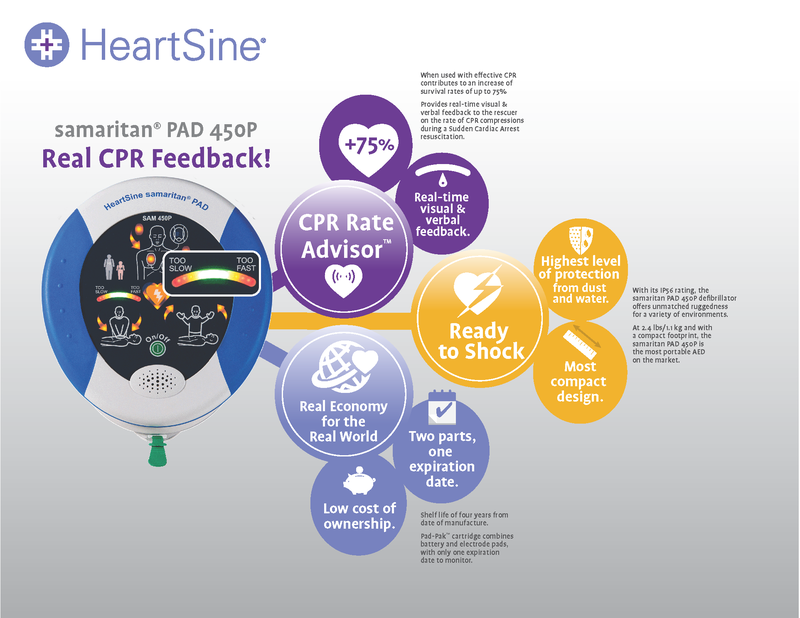 The new samaritan® PAD 450P (SAM 450P) with CPR Rate Advisor™ comes with a number of unique features, including real CPR feedback, a low cost of ownership, real-time visual & verbal feedback, and much more! Click here to learn more about the samaritan PAD 450P. In this Q&A, HeartSine’s Clinical Research Manager, Dr. Rebecca Di Maio, tells us a little bit about herself and the new samaritan® PAD 450P (SAM 450P).